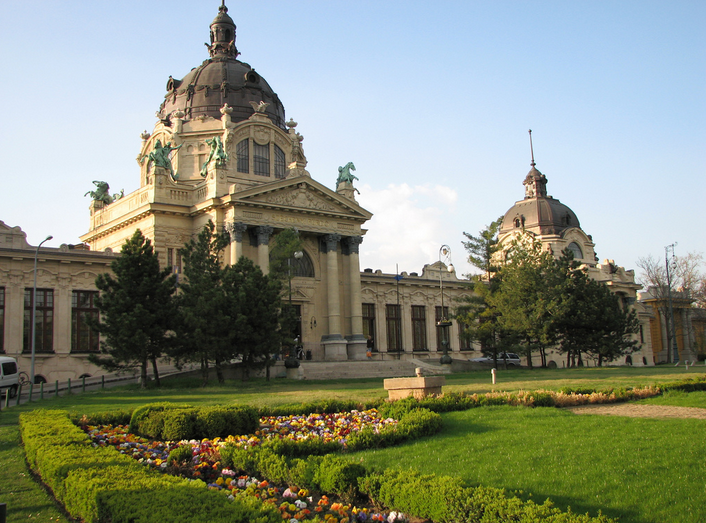 One of the best massage therapies in Budapest is offered by the medical masseuses of Szechenyi Baths Budapest. Please see the detailed information about Szechenyi Bath massage therapies here. Now you can book your massage therapy in advance via our online booking form (on the left) to secure your 20 min – 45 – 60 min massages at the official medical masseuses in Szechenyi Spa. Please check the current prices in the booking form on the left. We sell massages online as a package deal with the fast track entrance (full day entry) and with private changing cabin use), so the 3 services (entrance + massage therapy + cabin) are priced as one hot deal (depending on the actual currency rates, the price is between €35-40). This also means that you don’t have to endure the long lines and awkward check ins. You can buy your fast track online baths tickets in Euro or in Hungarian Forint, plus one of the massage therapies as enlisted below (the massage prices include the ticket price and the cabin price!). The cheapest massage is the 20 min aroma massage at approx. 25 Euros (plus another 22 Euros for the entrance fee). Please note that massage treatments are only available for bath guests, not to the general public. Longer and more thorough, deep massages take 45 or 60 minutes, and start at approx. 55 Euros (45/60 min Swedish massage, plus another 22 Euros for the bath entrance). Book your massage therapy in advance now via the online booking form. Baths Ticket with Private Cabin: fast track bath entry, which does not include a therapist massage, only the water massage in the pools. The full day entrance to Szechenyi Bath includes the additional Private Cabin: your own personal changing room and storage facility called a ‘Cabin’ in Szechenyi Baths. The bath ticket includes the use of 18 pools, and all the steam facilities, gym, sunbathing terrace. Some pools have underwater massage jets. Aroma Massage & Bath Ticket (20 min) in Szechenyi Baths: 20 minutes relaxing aroma massage in a private massage room. The massage is Swedish style and focuses on the upper body. Aroma massages are to be booked minimum 1 day ahead. Royal Thermal Massage & Bath Ticket (45/60 min) in Szechenyi Baths: therapeutic massage, Swedish style full body massage in a private massage room. Available for bath guests for a single session in a single massage room, or for couples / friends / relatives in a double massage room at a discount price. Harmony Massage & Bath Ticket (45/60 min) in Szechenyi Baths: therapeutic Harmony massage to give back the balance of your body. Swedish style full body massage with aromatic oils in a private massage room in Szechenyi Baths. Available for bath guests for a single session in a single massage room, or for couples / friends / relatives in a double massage room at a discount price. What makes the Szechenyi Bath massage therapists ‘medical’ is that they are not simply refreshing massage therapists, stroking and rolling their hands on your skin, but medically certified masseuses, who have special anatomy and medicinal massage qualifications, i.e. who actually know how to treat the most important medical issues related to muscle tone, muscle pain, joints, etc. and of course, have many years of experience with the thousands of visitors of the popular and much loved Szechenyi Baths in Budapest. 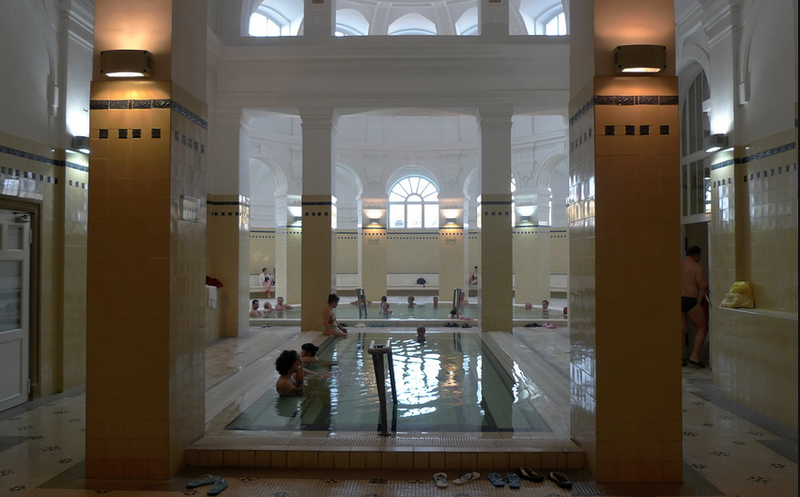 Come and relax in Szechenyi Baths – baths, pools, saunas, steam rooms, sunbathing terrace, and wellness centre at its best! Can you book the messages on the day? I am afraid, massages are generally sold out in advance, so early, online booking is highly suggested. I would like to book massages and are from Canada. I need to know if the massages are with registered massage therapists because then I can claim the medical expense. yes, they are all registered and professional massage therapists. I would like to book an hour massage for my boyfriend and I. Do I book a double package or do I book just one package each and we share a cabin? Also, I would like to purchase the I Love Spa package. Do I purchase this separate? if you wish to have the massages in the same room, please book a double massage package. Both of you will have your own cabin for changing. The Bath kit can be purchased in a second transaction. What is the latest time you can book a massage for? The latest timeslot for a massage (for a 20min long one) is 6pm. Please note that we can only book a massage after payment has taken place as massage hours are limited. Once payment has come through, we will strive to book you in closest to your preferred massage hours. If we cannot offer a suitable time for you, the price of the massage will be refunded. Apart from your massage hours, you can visit the bath before or after your massage treatment too (the tickets are for the whole day in fact, for the indoor and outdoor pools and facilities). Please note that we kindly ask guests to arrive minimum 1 hour before the massage begins to be ready for the massage. I just booked a massage deal for the 1st of February for an Harmony Rosemary Massage with ticket and cabin. Could you confirm me that it is fully booked ? yes, your booking is valid, and we have already sent you the booked massage hours. Would love to have a massage, but don’t want one that is too firm/hard. Can you advise the best massage for me to choose? we would recommend you to choose one of the Aroma massages, which are more gentle. Available in 20min, 45min and 60min.